AMMONNEWS - Iraqi Prime Minister Adel Abdul Mahdi on Tuesday said that the Jordanian government will reduce fees for goods to Iraq in exchange for importing 10,000 barrels of crude oil daily from Iraq in preferential prices. At a press conference after the weekly cabinet meeting, Abdul Mahdi told reporters that "Jordan demanded 10,000 barrels of Iraqi oil at Brent price after deducting transportation costs, while Jordan will cut the fees for goods imported by Iraq via Jordanian al-Aqaba port." "We will have an important meeting with the Jordanian side soon to achieve the greatest economic convergence between the two countries," Abdul Mahdi said, adding that "Iraq is moving to expand economic relations with all neighboring countries." Abdul Mahdi's comments came two days after the Iraqi Oil Minister Thamir al-Ghadhban said Iraq will supply neighboring Jordan with oil in accordance with a memorandum of understanding to be signed after the approval of both governments. 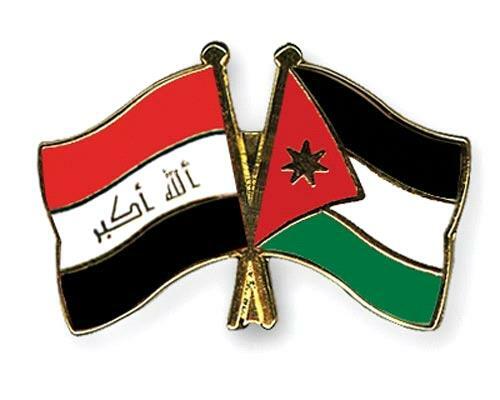 A statement by the ministry said that al-Ghadhban held a meeting with the Jordanian Minister of Energy and Mineral Resources Hala Zawati during her visit to Baghdad, and the two officials discussed bilateral cooperation in the fields of oil, gas and electricity. The two ministers also discussed extending an oil export pipeline between Rumaila, in Iraq's southern province of Basra, and Aqaba, Jordanian port, in addition to the project of electric connection between the two countries, the statement said. For her part, Zawati said "the visit came within the framework of strengthening bilateral relations to discuss topics of common interests in the fields of energy, oil and gas," according to the statement. In mid-1990s, Iraq began supplying Jordan with crude oil at preferential prices, in addition to giving it a free share of oil in exchange for goods as part of an economic agreement that renews annually between the two countries. In 2013, the two countries signed an agreement to build a pipeline to transport Iraqi crude oil from Basra in the south of the country to export terminals at the Jordanian port of Aqaba at a total cost of about 18 billion U.S. dollars and a capacity of 1 million barrels per day. The project was discussed by the two sides during the visit of King Abdullah II of Jordan to Baghdad on Jan. 14.